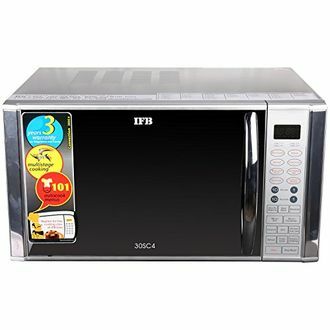 A microwave oven is an essential appliance needed in our daily life. 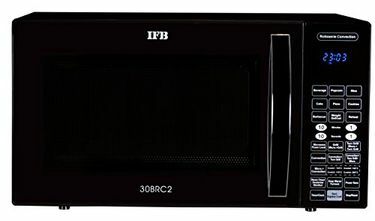 IFB has introduced a range of newly upgraded convection microwave ovens in the market. The main factor of the convection oven is that it produces heat around the oven and cook the food with uniform heating. 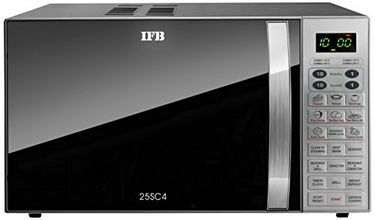 The IFB convection Microwave oven capacity varies from 17 litres to 35 litres. The price list includes 19 latest FB convection microwave oven models, with prices last updated on 21st April 2019. 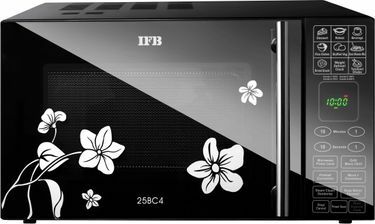 IFB convection ovens cook the food faster and can also be used for baking cake, pizza, bread etc. The convection ovens come with fantastic auto-cook menus which you can experiment at home. Aside from that, these ovens come with advanced technology like auto defrost, temperature setting, auto reheat etc. Some of the products are equipped with child lock feature in the control panel that locks access to children and prevents accidents. 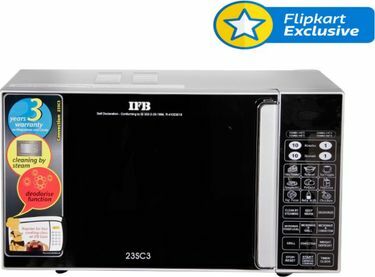 The power consumption of IFB microwave ovens is low and they offer complimentary starter kit including cake plate with the product. 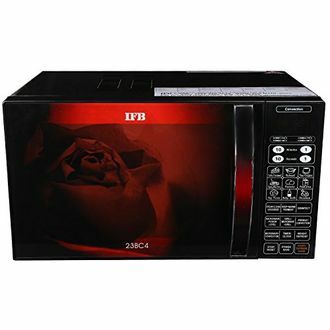 The IFB convection microwave ovens are available on online shopping portals like Flipkart, Amazon, Tata Cliq etc. 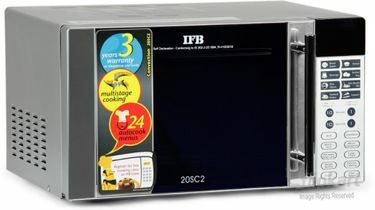 The warranty period of the IFB convection ovens ranges up to 2 years. The demo and installation process is done by the IFB person itself on your doorstep within 3 - 4 working days. Our price comparison tool will help you compare the price and find out the best suited product for you at the lowest price.